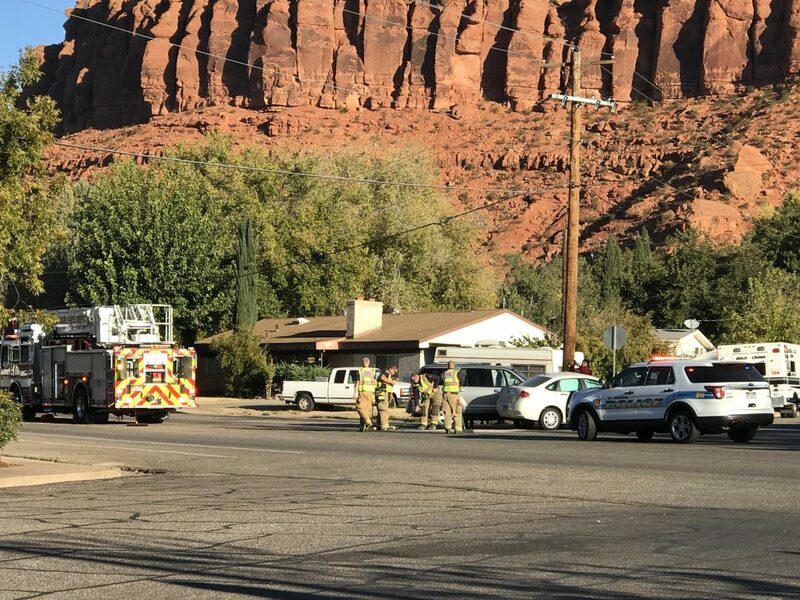 ST. GEORGE — Emergency crews tended to the scene Thursday morning of a two-vehicle crash at the intersection of 400 West and Diagonal Street in St. George. 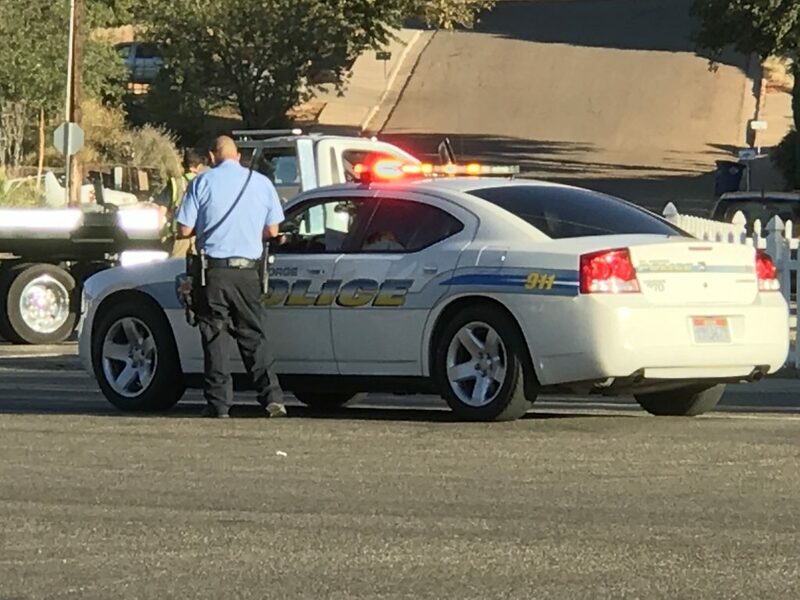 Just after 8 a.m., a 17-year-old girl was eastbound on Diagonal Street in a white 2009 Ford Focus. 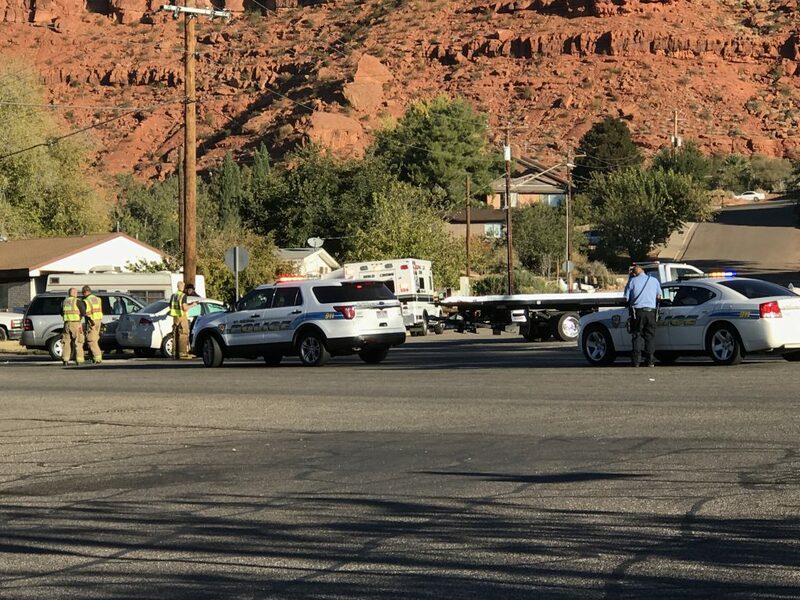 Traveling behind the teen was a 33-year-old woman in a silver 2008 Ford Explorer carrying four children, ages 2, 8, 10 and 17, St. George Police Officer Lona Trombley said. 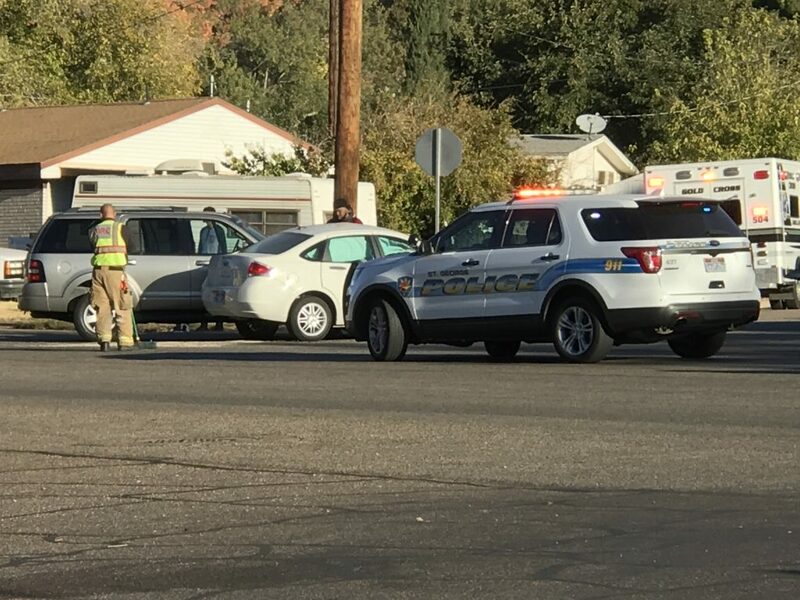 The driver of the white Focus told police she moved into the right lane, intending to make a U-turn on Diagonal Street, Trombley said, adding that the teen turned to her left across traffic without looking over her shoulder first. “She turned directly into the path of the Explorer,” Trombley said. 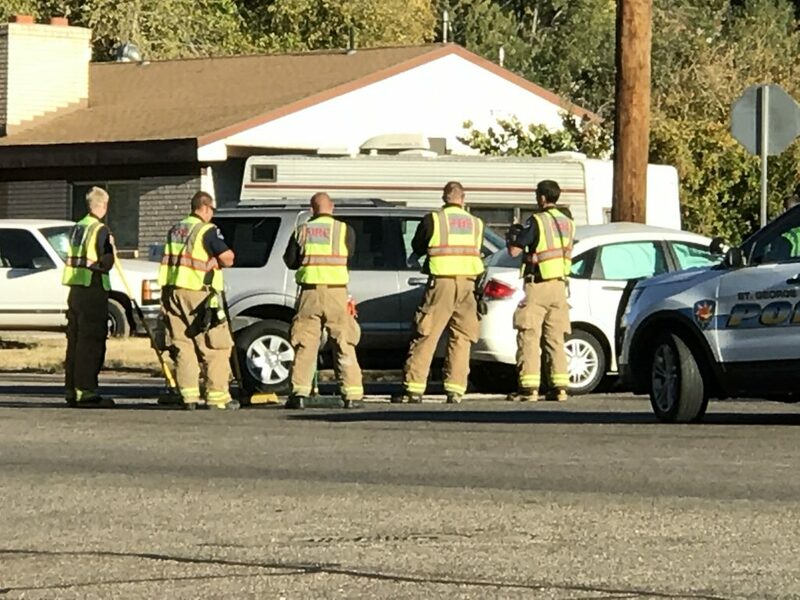 She stated she swerved to her left to try to avoid the collision, but was unable to. 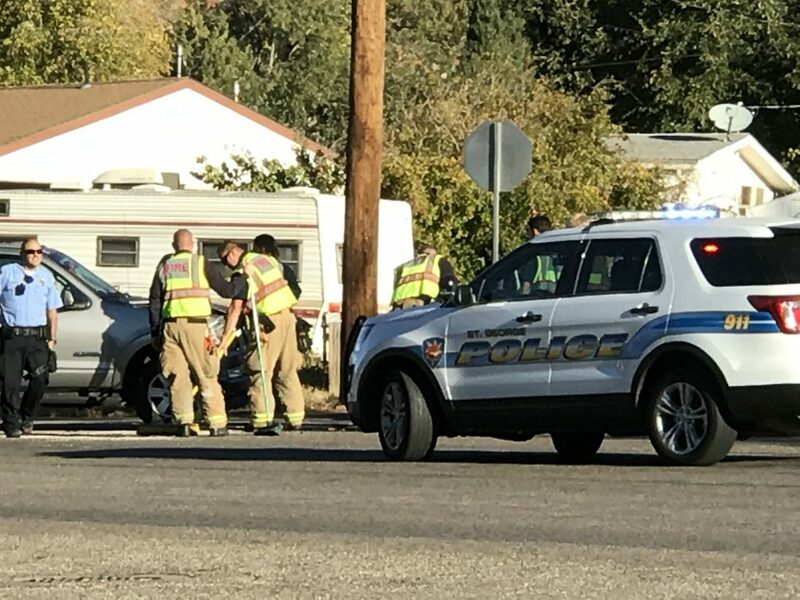 The two vehicles collided, causing both vehicles to be rendered inoperable and towed from the scene. 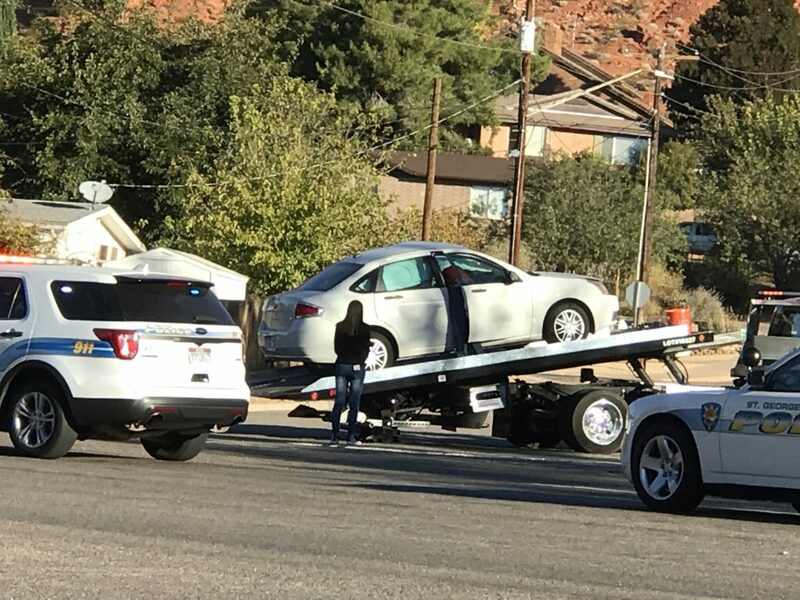 The teen was issued a citation for making an improper U-turn, police said. All parties involved in the crash were wearing their seatbelt, Trombley said. 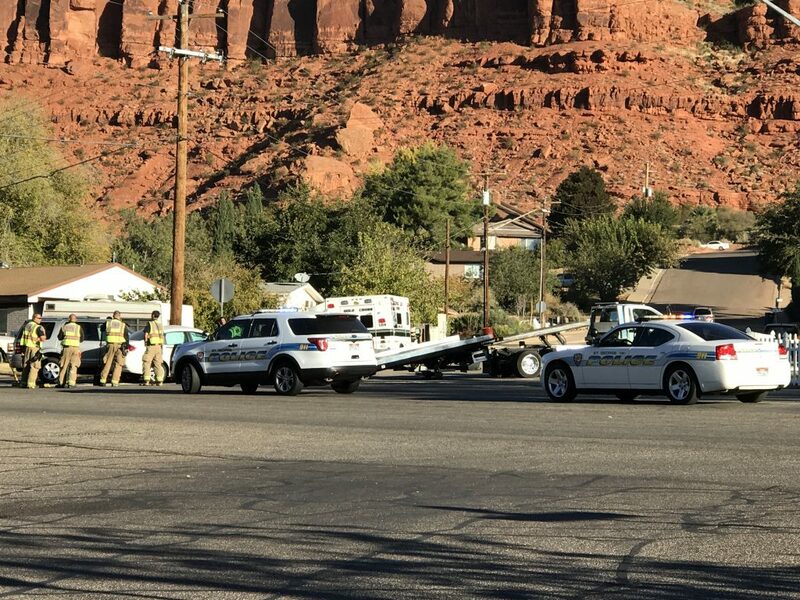 However, she said she did not know if there were any injuries sustained as result of the crash.